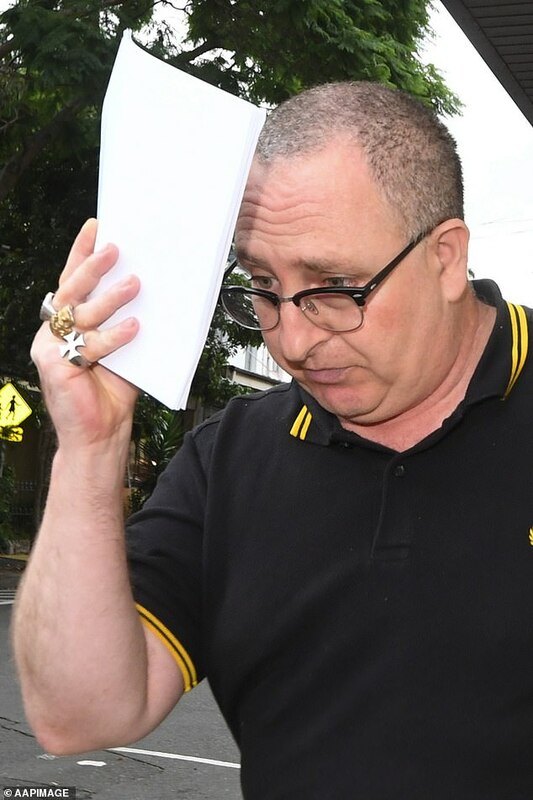 Nathan Sykes, 50, was arrested at his Brighton-Le-Sands home on Friday morning and taken to Newtown police station where he was charged with multiple offences. He is charged with three counts of using a carriage service to menace, harass or cause offence; and two counts of using a carriage service to threaten serious harm. Sykes is allegedly a lieutenant of Australia’s most prominent white supremacist Jim Saleam, Fairfax reported. 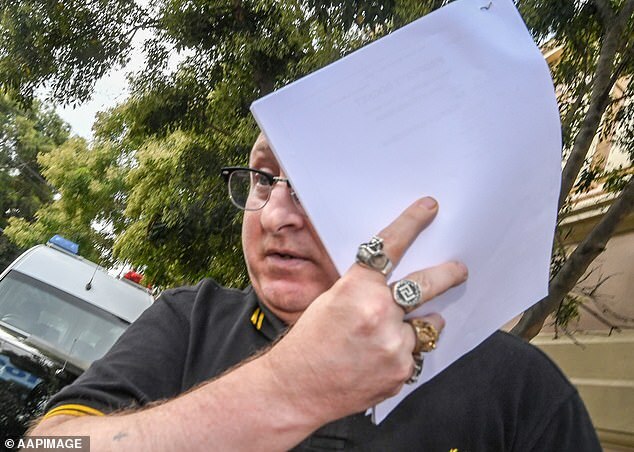 He was arrested over allegations he made repeated and explicit violent threats to Melbourne lawyer and journalist Luke McMahon. Mr McMahon in 2017 claimed Sykes had used pseudonyms to harass left-wing and Muslim activists on social media and contribute to neo-Nazi website Daily Stormer. The 50-year-old is alleged to have also left Mr McMahon a series of threatening messages, which were recorded, The Age reported. In one of the recordings, Skyes allegedly threatens Mr McMahon, saying: ‘I’m going to torture you to an absolute delight little Lukey Luke. ‘I have people looking at you right now, staring at you from across the f***ing street from where you live, enjoy this mother-f***er,’ the recorded voice stated. 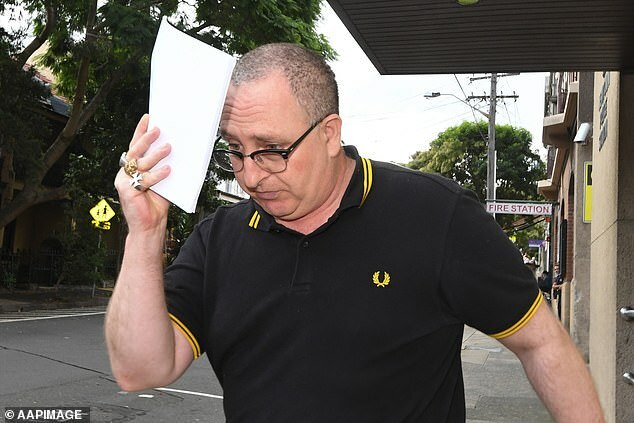 Sykes was granted strict bail on Friday on the condition he doesn’t travel to Victoria, doesn’t contact the alleged victim and he surrenders his passport to NSW Police. 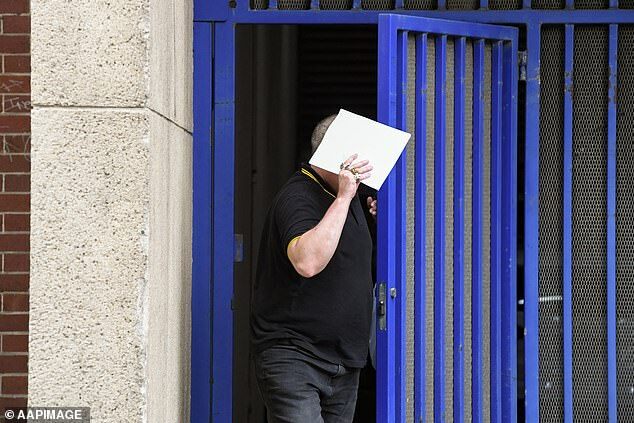 As he was leaving the police station, Sykes was asked by a reporter if he’d threatened McMahon. ‘No, I was harassed by a troll,’ he replied. Another ring featured the logo of the Golden Dawn, a Greek ultra-nationalist political movement. 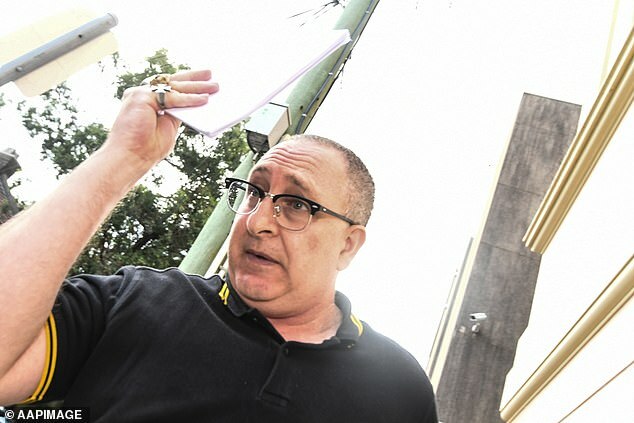 Sykes’ arrest came after former NSW Police Force deputy commissioner Nick Kaldas claimed policing agencies were failing to effectively monitor the growth of right-wing extremists. However, senior NSW police sources reportedly told the publication they were effectively targeting multiple far-right threats.